Geronimo also plans to unseat Chief Talking Bull, lover of the fast-food hi-tech world of the paleface, and declare all-out war. But an unlikely alliance between the disillusioned Bandits, the outlaws Angelina and Jolie and Texas Ranger Clint Westwood, make sure things don't go according to Geronimo's plan. 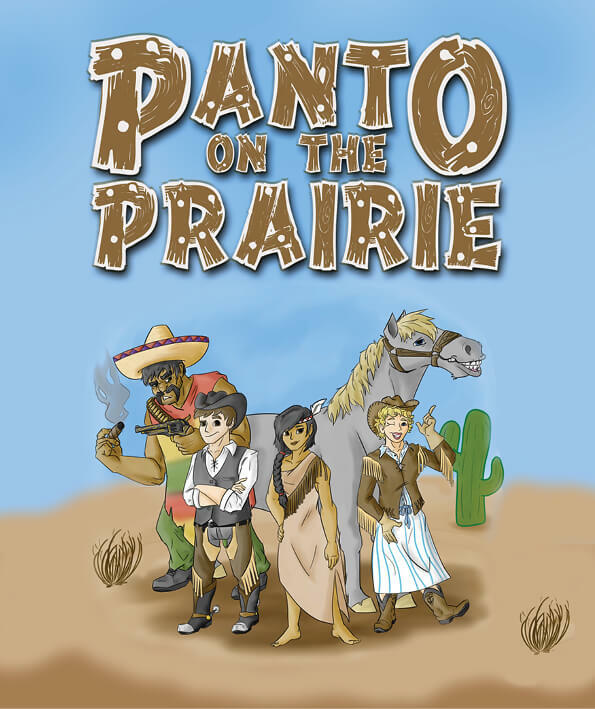 This is a rollicking Wild West adventure, featuring several other well-known characters such as Pocahontas and The Milky Bar Kid. Fun for all the family. Matinees are on the 12th, 13th and 19th January, with the show starting at 2.30pm. Evening performances start at 7.30pm. No evening performances on the 13th or 14th January.